Stefan holds a PhD in Film Tourism from the University of Otago, New Zealand and is the author of the book The Experiences of Film Locations Tourists (Channel View Publications: London). He has over fifteen years of experience in destination marketing and market research, having worked in the tourism industry in various consulting and management roles. Since 2006, Stefan has established himself as a leading industry expert in film tourism, advising tourism managers and film commissioners on how to benefit from film tourism. We support DMO’s and film commissions to establish the management and communication structures necessary to professionally map out film tourism campaigns. At the core of a film-focused feasibility study is the assessment of the film script. We refer to a very specific catalogue of success indicators which we have carefully developed and applied over the past ten years. The film and tourism target groups are examined in terms of any existing compatibilities. Filmic place branding and place marketing have a number of advantages over conventional destination marketing. Fictional film productions tell universal stories which are highly emotional and have a wide reach. Destination marketing via film and TV is not perceived as promotion (below-the-line-advertising) and the advertising value equivalency (AVE) in film tourism commonly reaches a relation of 1:10 or higher. There are a number of elements essential to any professional and sustainable film tourism product. This not only includes film location tours but also alternative film tourism products, such as themed hotel packages, film-related exhibitions, film museums, events or travel packages. It has been widely accepted that film locations contribute to the pull factor of a destination, but they are not the only decisive factor for a travel decision. Determining the actual influence of film and TV on travel behaviour is difficult. It can be hard for participants of a film location tour to articulate the influence of the underlying film production on their destination selection. We advise a combination of different data collection methods, such as complementing surveys with qualitative interviews. It is necessary to conduct a live-assessment of the effect of the involved locations on the audience and the subsequent LPV calculation requires extensive desk research in order to identify viewing numbers and product placement values. A tourism-focused script analysis evaluates how the portrayed locations are tied into the film’s storyline. The intensity of integration determines the tourism potential of the film or TV series. Such an analysis provides necessary insights when planning a future marketing campaign around the film production. Creation of Star Wars location experiences in the Republic of Ireland. "Fáilte Ireland worked with Stefan in 2017. He helped us to understand the importance of film tourism by giving us the insights and knowledge which enabled Fáilte Ireland the tourism industry to understand the needs of the film tourism, and how to develop successful and sustainable experiences that will showcase how the landscape of the Wild Atlantic Way inspired Disney/Lucasfilm in the making Star Wars movies. Stefan was our keynote speaker at an industry event in November 2017 and has inspired the industry in developing experiences in Film Tourism. Thank you Stefan for your inspiration, knowledge and insight." Film Tourism Workshop for the EUFCN Film Commissions. Brussels, Belgium. "I have followed Stefan’s career as a film tourism consultant for many years. I first met him in 2008 in Wellington, New Zealand during the AFCI Cineposium where he gave a presentation to film commissioners on how to leverage off film tourism. I was impressed by his expertise and knowledge which is why in 2009 I invited him as a keynote speaker to Mixed Reality, the very first Swedish film tourism conference in Ystad, Southern Sweden. Since that time, Stefan has established himself as one of the leading experts in film tourism. In 2015, I invited him to speak at Mixed Reality a second time and I am thrilled that Stefan will share his expertise with the other members of the European Film Commissions Network in Brussels this November. I highly recommend that any organisation looking into film tourism should draw on Stefan’s knowledge." Development of Jordan's future film tourism strategy, including on-location product assessment, stakeholder interviews and the creation of a location portfolio. "Dr. Roesch lead a first of its kind film tourism conference in Jordan and gathered world-class international speakers to address the film and tourism industry members. During the conference, Dr. Roesch launched a destination film tourism plan to help Jordan capitalize on productions filmed in Jordan. Dr. Roesch proved extremely knowledgeable and experienced in his field and was a consummate professional. Working with him is a pleasure." Quantitative survey on the future potential of film tourism, conducted with the members of the Association of Film Commissioners International (AFCI). You can find the results here. "What I appreciate most about Stefan's approach is that he really gets into the mind of the film tourist. Estimating the popularity of a film, the demographics of its audience and the visual quality of the locations is a good start, but are you providing an experience fans desire and creating an environment they'll want to engage with over and over again? This is the area where Stefan excels." Film tourism market potential analysis of the movie The Light Between Oceans. On-site evaluation of Game of Thrones tourism products in Northern Ireland. On-location product development workshop for GoT film tourism operators. "Engaging Stefan to advise on Northern Ireland’s film tourism location was an inspiration. With Northern Ireland being the principal film location for Game of Thrones Stefan was asked to assess Northern Ireland’s Game of Thrones visitor experience. He provided expert advice on how to maximise this amazing opportunity and ran a film location workshop for tour guides. In addition, Stefan provided consultations to individual businesses. It was a pleasure working with Stefan and an invaluable learning experience." Film tourism market potential analysis and initial destination marketing concept of the animation movie Trolls. "As a national tourism organisation, with the aim of increasing our efforts within the film tourism area, is has been very helpful having Stefan onboard as a consultant. He’s helped us define our film strategy as well as providing us with a methodology to assess potential film projects. He's been professional and effective, and we'll definitely use his skills again in the future." Consultation on a national film tourism strategy. "Stefan is the world’s leading expert on how to implement a film tourism strategy into a county’s destination marketing plan. He’s given a few key note speeches at our conferences, taught us and our business partners many valuable tips and helped to set our focus in the right direction." Film tourism market potential analysis and destination marketing concept of the movie Paddington. "I have had the pleasure of working with Stefan for a number of years. Stefan has a real passion for screen tourism and he has been advising VisitBritain, the national tourism agency in the UK on several movie projects including Paddington and the James Bond films. His ideas have always been very creative and innovative and thanks to Stefan a particular recent one – creating a Paddington movie tour of London – has become a reality." Film tourism workshop, as part of the EuroScreen Interreg IVC project. "Stefan Roesch is one of the few that knows film tourism inside out. From being a Lord of the Rings tour guide in New Zealand, to researching and advising on film tourism campaigns across the world, Stefan is a knowledgeable and resourceful expert!" Consultation on strategic film tourism guidelines. "Stefan Rösch is a pioneer in the field of film tourism. Long before tourism experts realised how important film and TV for tourism is and how countries, regions and cities can benefit from it, Stefan had the right vision. Today he is the leading expert in film tourism." Film tourism workshop, in cooperation with the FFF Film Commission Bayern. "Everyone who wants to become active in the business field of film and tourism should work with Stefan and benefit from his long term expertise and knowledge. Don't miss the chance to be prepared for this high potential and particular business segment." 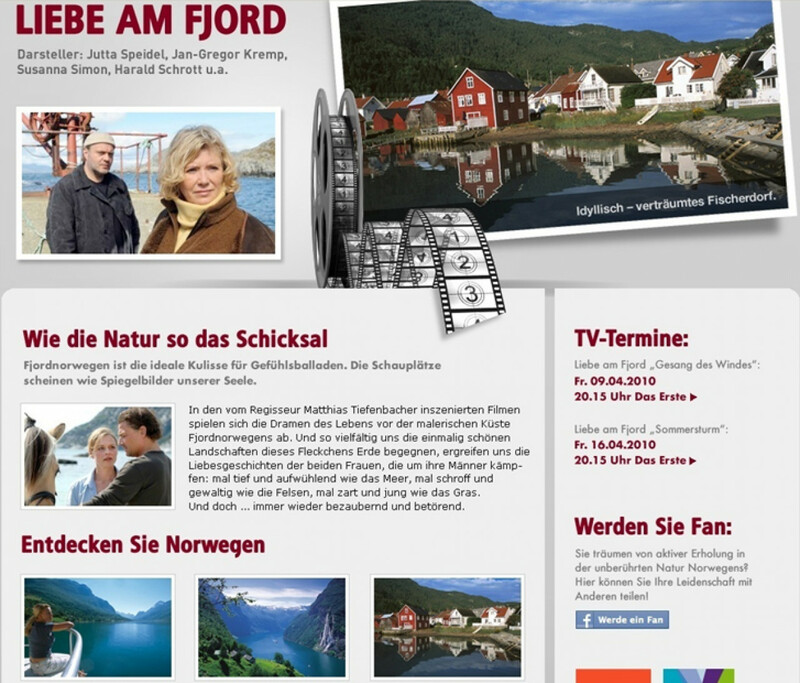 Tourism-focused script analysis of two German TV features and a follow-up film tourism destination marketing plan. Destination strategy for the destination marketing organisation Wilder Kaiser, Austria around the spin-off effects of the German TV series The Mountain Doctor, including the design of a film location tour (Tyrolean Tourism Award 2013 for best distribution and marketing). "In 2008, Stefan helped us to set up film tourism around the German TV series The Mountain Doctor in the destination of Wilder Kaiser in Tyrol which has become a great success. In 2013, the destination was awarded the Tyrolean Tourism Award for Best Marketing Campaign." Stefan has presented on the topic of film tourism at over thirty international workshops and conferences. Talking film locations and tourism in Greece, with New York-based location manager Yorgo Stathopoulos and Game of Thrones location manager Tate Aráez Guzmán. 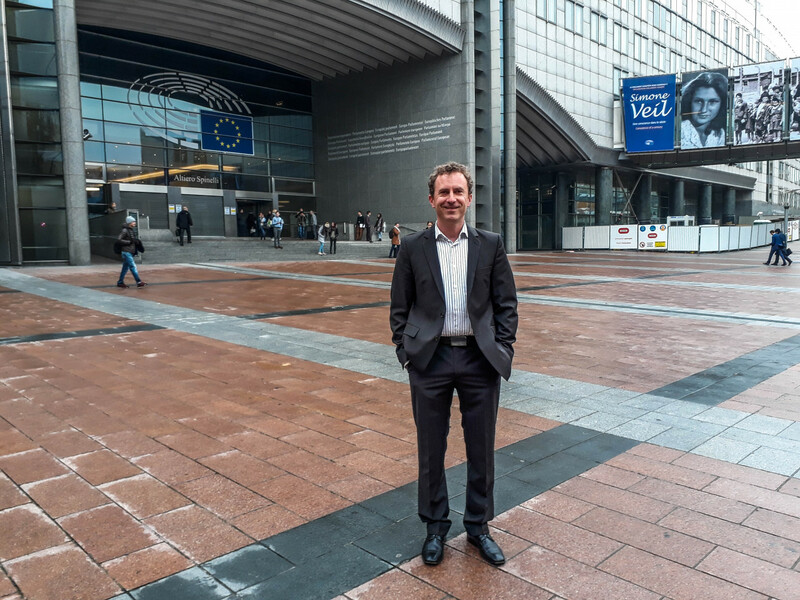 Stefan presenting at the European Parliament. Brussels, November 2017. In: Lundberg, Ch. & Ziakas, V. (eds.) Handbook of Popular Culture and Tourism. London: Routledge, pp. 81-96. Order the book directly from the publisher here. In popular culture tourism, the influence of movies on destination awareness and place promotion has long been recognised. In recent years, the dramatic increase in the production of high-quality TV shows has provided an additional boost to global film tourism. Drawing on the concepts of location placement and place imaging, this chapter looks into the current dimension of fictional film productions as a tourism driver, with a particular focus on TV shows. Based on the three case studies Breaking Bad, Downtown Abbey and Game of Thrones, the article illustrates, how different tourism stakeholders deal with the potential spin-off effects of fictional film productions. As the selected cases indicate, the similarities between movie- and TV-based effects on tourism destinations are evident. However, TV shows have a clear advantage over movies when it comes to place promotion. Due to their periodic windows of exhibition, both characters and locations are portrayed over a longer period in comparison to movies, therefore generating a larger, emotionally more engaged viewership. Finally, a survey conducted with film commissioners suggests that film tourism will increase significantly within the next ten years. More importantly, 97% of the interviewed film commissions intend to allocate funds into film tourism promotion, which goes to show, that film tourism has well and truly emerged from its niche existence. In: Pforr, C. & Reiser, D. (eds): Tourismus in Australien und Neuseeland. Berlin: Walter de Gruyter, pp. 249-267. Film tourism in Down Under kicked off in 1986, when the movie Crocodile Dundee put the spotlight on Australia. Actor Paul Hogan portrayed the Outback in such an appealing way that international tourist arrivals increased by 100 percent over the following four years. Jane Campion’s Academy Award-winning movie The Piano, released in 1993, was the first New Zealand-based film production that initiated an international tourism following. To date, the main location of Karekare Beach is still a focal point for film location tourists. At the beginning of the new millennium, Peter Jackson’s trilogy The Lord of the Rings turned his home country of New Zealand into ‘Middle Earth’, resulting in a cult following both on and off screen. At present, The Lord of the Rings and The Hobbit movies are one of the main reasons to visit New Zealand for 14% of all international tourists – and there is no indication that Middle Earth tourism will slow down anytime soon. This article also examines a number of additional movies and their impact on tourism in Down Under, including The Last Samurai, Whale Rider, The Lion, the Witch and the Wardrobe, Wolf Creek and Australia. In particular the latter film showed that investing in a film tourism campaign can bear certain risks that might not pay off. However, the future of film tourism in particular for New Zealand looks brighter than ever, with an ever-increasing number of big-scale projects making their way to Aotearoa. In: Klein, A., Pröbstle & Schmidt-Ott, T. (eds. ): Kulturtourismus für alle? Neue Strategien für einen Wachstumsmarkt. Bielefeld: Transcript-Verlag, pp. 233-253. A growing number of destinations have integrated film tourism within their marketing portfolio. This article examines the advantages of screen-based destination promotion, illustrates best practice examples of successful film tourism campaigns, and looks into the on-site experiences of film location tourists. The reader is first provided with an overview of how fictional film productions influence travel decisions and how the growing number of high-quality TV shows have boosted film tourism around the world in recent years. This chapter also looks into the specific promotional assets of movies and TV shows that make them so attractive for destination marketing. The following section introduces three specific film tourism campaigns that were run by some of the world’s leading destination marketing organisations: James Bond in the UK, The Lord of the Rings in New Zealand and Game of Thrones in Northern Ireland. Film tourists then become the focus of the article. The author analyses the various aspects of the location encounter between the fans and the visited places and explains how to set up professional film tourism products. Finally, the current situation in Germany is highlighted with the verdict that even in our golden age of television, a large number of global players in the tourism industry still largely neglect the promotional power of film. Roesch, S. (2009): The Experiences of Film Location Tourists. Channel View Publications: London. Within the last decade film-induced tourism has gained increasing attention from academics and the industry alike. While most research has focused on the tourism-inducing effects of film productions, not much has been written about the film location tourists themselves. This book examines the on-site experiences of these tourists by drawing from various disciplines, including geography, sociology and psychology. The author accompanied tourists to film locations from The Lord of the Rings, Star Wars and The Sound of Music and conducted extensive on-site research with them. The results show that only by understanding the needs and wants of film location tourists can film be utilised as a successful and sustainable instrument within strategic destination marketing portfolios. In 2015, USA TODAY ran a competition for “Best Cinematic Destination” for which Stefan served in an advisary capacity.